As more and more concerns arise for the liability of produce growers and the safety of fresh market consumers, growers are searching for effective and simple ways to comply with GAP requirements. One of the more challenging and growing concerns is chlorine disinfection on crops. GAP is requiring that chlorine is run upon the produce prior to harvest to disinfect and reduce the risk of spreading bacteria such as ecoli. Recently, we installed a chemical injection pump that will help a local grower comply with GAP and give them the reassurance that they have a simple cost effective way to comply with GAP. 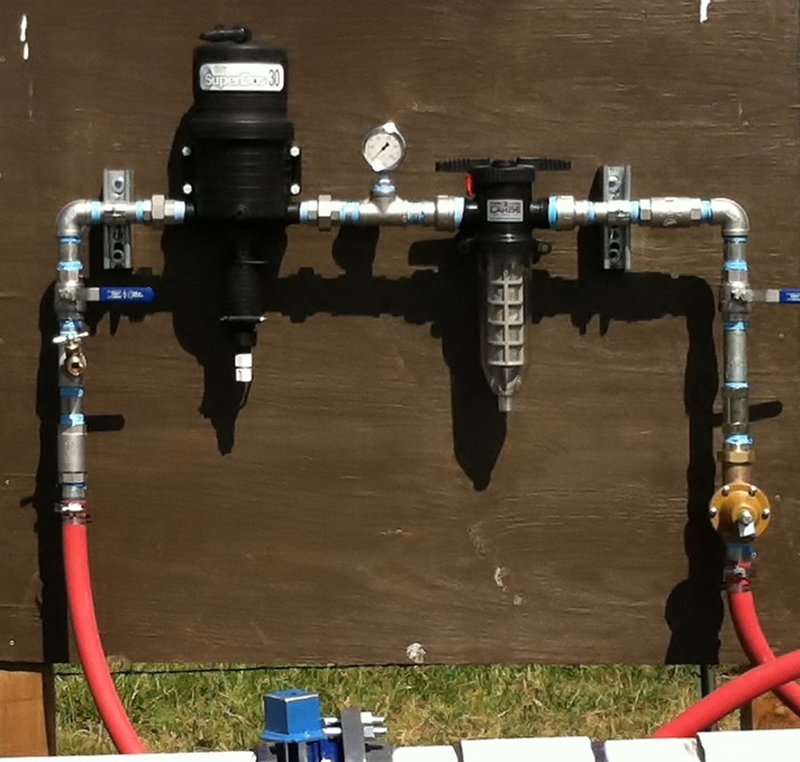 It is powered by creating a pressure differential between the intake and discharge and has an adjustable feed rate to help maintain a chlorine residual in the field. ← Why is my well pump is running all the time?